Today’s low-flow toilets feature design advancements such as water-jet assist and elongated trapways to produce more flushing power with less water. The low-flow toilet got a bad reputation when it was introduced. As with any new technology, there were unforeseen problems to be worked out. Primarily, it was necessary to flush the low-flow toilets two, three or even four times to effectively remove waste, which eliminated any water savings promised by the low flow feature. Today, however, just about every low-flow toilet manufactured has remedied those problems. 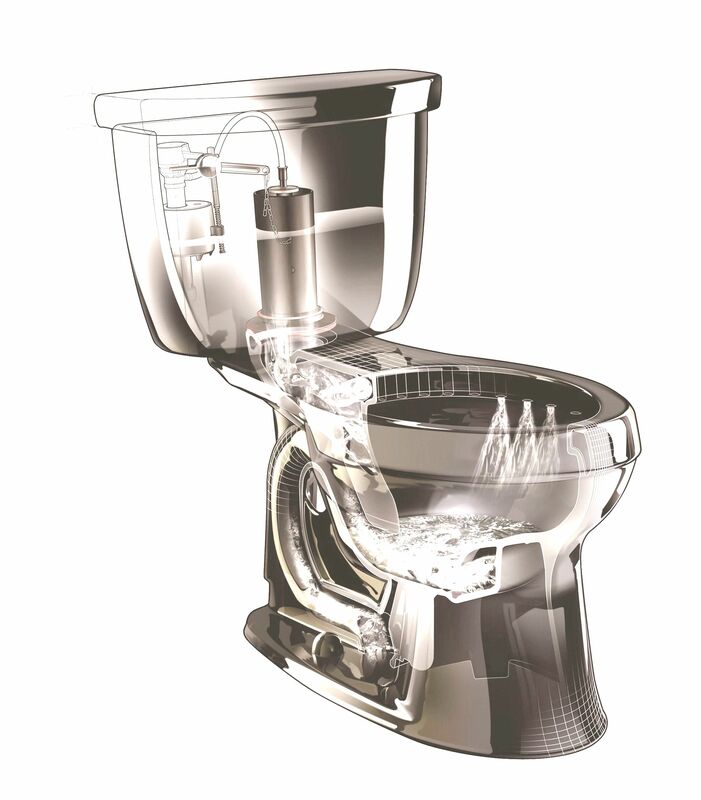 Unfortunately, homeowners who have a first-generation low-flow toilet in their homes are still having problems. If you’re asked to help troubleshooting a low-flow toilet that doesn’t work effectively, here are a few things to try. If the toilet was manufactured before 1998, you need to remove it and replace it with a new model. First-generation low-flow fixtures did not have the elongated trap ways, larger flush valves or jet-assist mechanisms that make new models effective at moving bulk waste with less water. To determine when the fixture was made, flush the toilet and look at the stamp on the bottom of the tank before it refills. If you are planning to buy and install a new low-flow toilet, check the Bulk Removal Rating to be sure you the new fixture will function correctly. First, check the tension on the flapper chain. If there is too much slack, the flapper won’t open all the way when the toilet is flushed and the tank won’t empty quickly and completely. There are some inexpensive and quick fixes for troubleshooting a low-flow toilet that have begun to lose their effectiveness. First, check the tension on the flapper chain. If there is too much slack, the flapper won’t open all the way when the toilet is flushed and the tank won’t empty quickly and completely. There should be no more than 1 inch of slack before the chain raises the flapper. There may be a partial blockage or buildup in the trap. If a plunger doesn’t produce immediate results, run a toilet auger into the bowl and through the pipes to clear any accumulation. The air vent could also have a partial or full blockage, preventing air from entering the waste line and causing sluggish drainage throughout the home. Most main-line vents are located on the roof and can become blocked with leaves, debris or even animal nests. You may be able to clear a blockage by hand, or by running a garden hose or sewer auger through the vent line. Old toilets used a lot of water, but they were good at scouring the main drain line and clearing any small buildup before it became a problem. Today’s more efficient toilets don’t clear drain lines that were designed to handle much larger volumes. The best way to combat the problem is to direct the discharge from the clothes washer, which generates the largest outflow of any household fixture so it can contribute to flushing the drain lines. For homes connected to a city sewer, locate the clothes washer discharge as close as possible to the home’s drain exit. That will more effectively clear the line from the home to the street, which often has less slope than the drain line in the home.